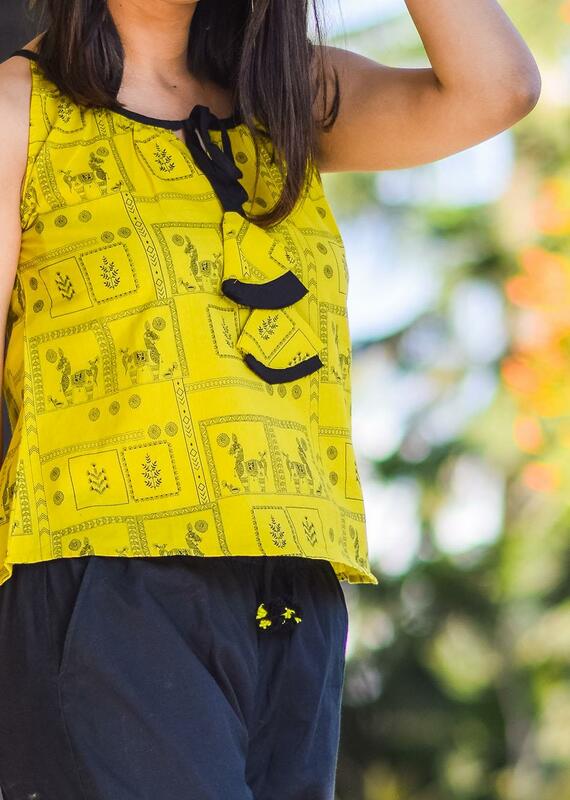 Coming across as a perfect substitute for daily tops and jeggings, this OFFBEAT set of yellow top and black puffed pants is our new creation. It is very comfortable to wear and brings with it a hue of freshness and modernity. 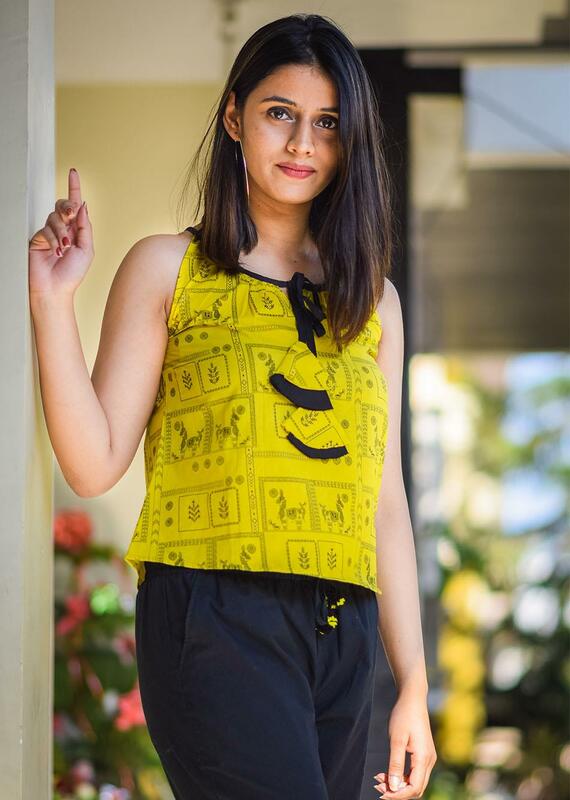 Pair this pants with another top or wear the set as it is, we are sure that the cotton fabric and creative concept of it will deliver you a smart appeal as well as keep you at ease.